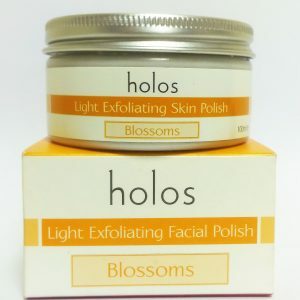 Holos is a one stop shop for your family’s healthy skincare needs. It’s luxurious, plant-based and embraces the principles of Aromatherapy. It’s both velvet to the skin and a comfort blanket to the senses, giving you healthy vibrant skin and a LOT of feel good. With products for Mums, Dads, teens and smallies, Holos feeds the skin the vitamins, minerals, antioxidants and essential fatty acids the skin needs for healthy maintenance and protection against the signs of aging. Check out our skincare picks for the whole family below. It deep cleanse pores, removes dead skin cells and balances sebum. It’s also an aromatic dream. It adds good fats to the skin to plump and smooth out fine lines. It hydrates and treats inflammation and pigmentation imbalance. Plant-based oil that’s safe in pregnancy and full of antioxidants and essential oils to protect against stretch marks. The Face wash is excellent for facial cleansing and as a shaving gel, the face cream add moisture and soothes irritated skin. Both products have wild woody aromas with intertwined with sweet muskiness. Woodlands is perfect for boys. They can share with Dad! For girls check out our Good Morning Face wash and Face cream. Both have citrus and geranium added to promote circulation, helping to lift dull, congested skin to prevent acne. This is wonderful added to bath water or massaged into baby or child’s skin to promote softness. It’s also wonderfully calming.